Technology gave birth to firewalls as the first line of defense, identifying intrusion and preventing the majority of unwanted viruses. With the development of modern multi-faceted computer systems, viruses have also become cleverer, attaching themselves like hidden parasites or hitchhikers entering through other portals. Understanding firewall developments and system configurations is a fundamental part of the business strategy because it plays a critical role in continued surveillance of operating systems. Outdated firewall security features are prime targets for system compromises. The good news—measures exist to protect and manage the loss or damage of data information. As technology continues to move at incredible speeds, firewalls continue to evolve, keeping networks safe and secure, whether its multiple corporate servers and desktops or laptops connected to a wireless network. You can’t stop viruses from entering your system, but you can make it difficult by knowing the system’s vulnerability. Like technology, intruders have gotten more skilled—the differences are the scales of damage. System vulnerabilities allow the intrusion of automated viruses to gain access. Configuring firewalls to fit your business helps to prevent and reduce the number of attacks. The criteria for both hardware and software configurations filtering the traffic is set by the administrator. Modern day firewalls have the ability of logging and isolating the attacks—setting off system alerts and tracking the route of entry. Unusual surges in traffic, abnormal patterns or congestion of a specific port are signals of possible virus activity. Review the security controls capturing traffic trends on sources and destinations, website and ports. If you are experiencing an increase of virus attacks causing computer malfunctions – your configurations may be outdated allowing the latest intruder entry. It may also be time to review human interventions and office procedures. File sharing and the human element are the most notorious cause of viruses entering your system. Simple emails with shared attachments, online links and requests for information are vulnerable paths opening doors to unwanted intrusions—these practices are also indispensable functions to doing business. Over fifty percent of system compromises occur when users misuse access privileges – triggering pop-up browsers or hidden applications – allowing viruses to entry without the users’ knowledge. 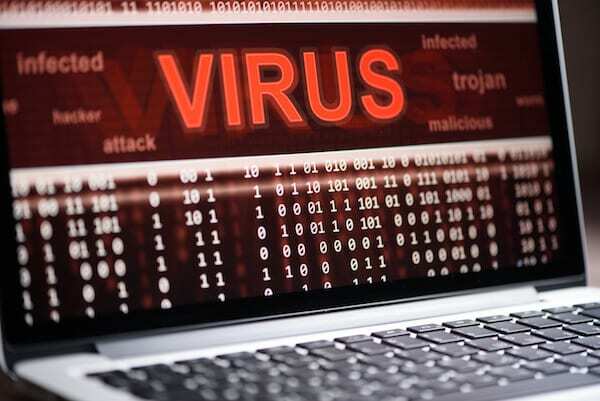 Today, viruses face a constant challenge against integrated firewalls and backup routines in a perpetual mobile society. Within the firewall features exists—visibility and control—automated security—user protection. The need for augmented firewall security isn’t going to change—as new viruses develop, weak points within the network and outside internet communities are targeted. Good system management procedures will protect you and your company from making mistakes. As a company technology updates, system reviews and company education can diminish the loss of information and data. As a user, a better understanding and awareness of your actions that cause threats will help to reduce the damage to the business. Infiltrations by hidden viruses from downloading an online file, inserting an infected disc into the computer or performing a search process are isolated or destroyed with a well-developed IT infrastructure. An efficient method of preventing virus entry is caution when submitting valuable information online. A cost-effective practice is implementing backup routines as part of the operating system functions—securing company data in the event of compromise and needed recovery. Backup & Disaster Recovery (BDR) may be one of the most effective defenses against viruses, accidental data loss or equipment malfunctions. For whatever reason, computer failures occur – crippling a business without warning. You can’t predict the future, but you can install methods and practices to prevent cyber-attacks and manage unpredictable disasters. BDR provides data recovery with very little downtime or interruption to the business. You’ll be surprised at the evolution of BDR with today’s rapid data restoration using a cloud based architecture—data is backed up in sequences of minutes making it more reliable compared to yesterday’s models. More important is the peace of mind—knowing your data is secure and available to keep your systems operating even with a server failure. Even today, every computer or network is vulnerable to attack—it’s the nature of technology. Viruses are programmed to migrate into accessible systems. When firewalls and systems are managed with planned upgrades fewer attacks happen. Backup with the latest technology and recovery is executed quickly—restoring business.